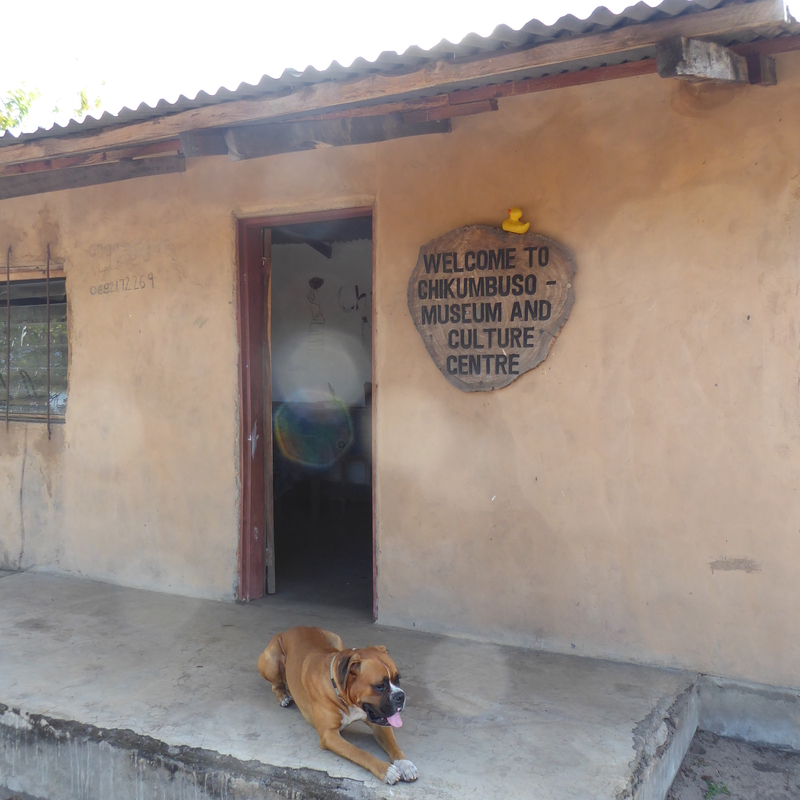 From Makuzi Beach Lodge, Patrick showed us the Chikumbuso Museum and Cultural Center. 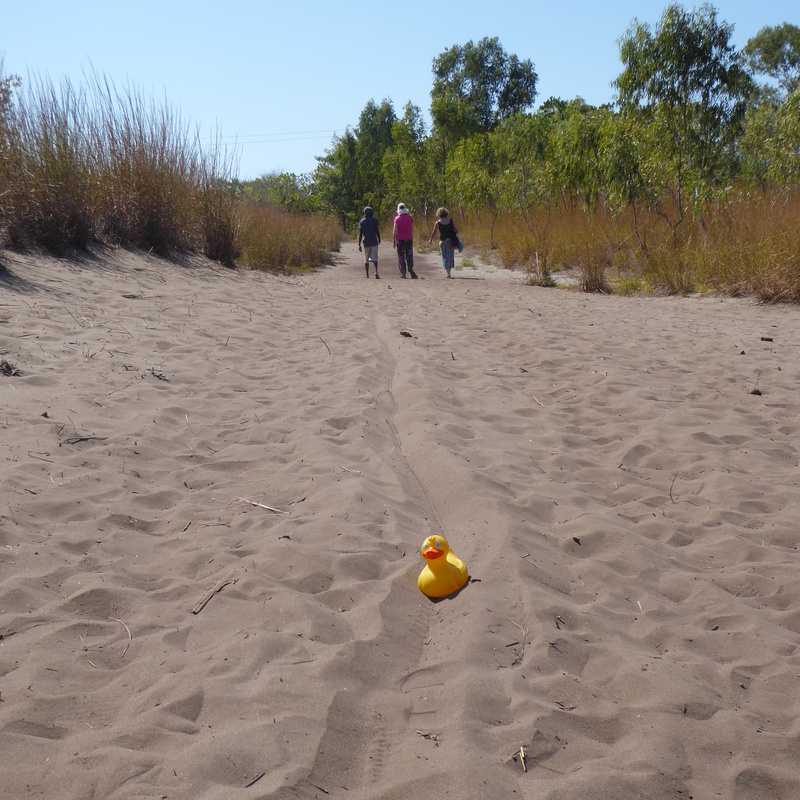 We walked from the lodge, down a sandy road, to the Center. Jeb, the dog, walked with us and patiently waited for us to return to Makuzi Beach Lodge. The Museum and Cultural Center is a remembrance for Chief Yakucha, who died in 2008. Patrick showed us how to play the musical instruments. 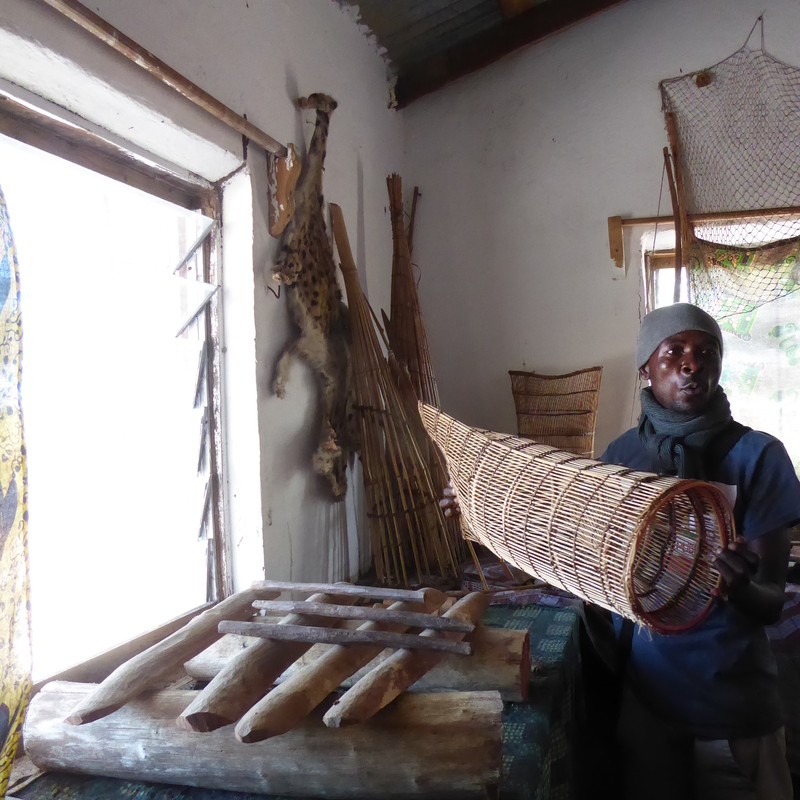 This basket was used in shallow water to catch small fish. 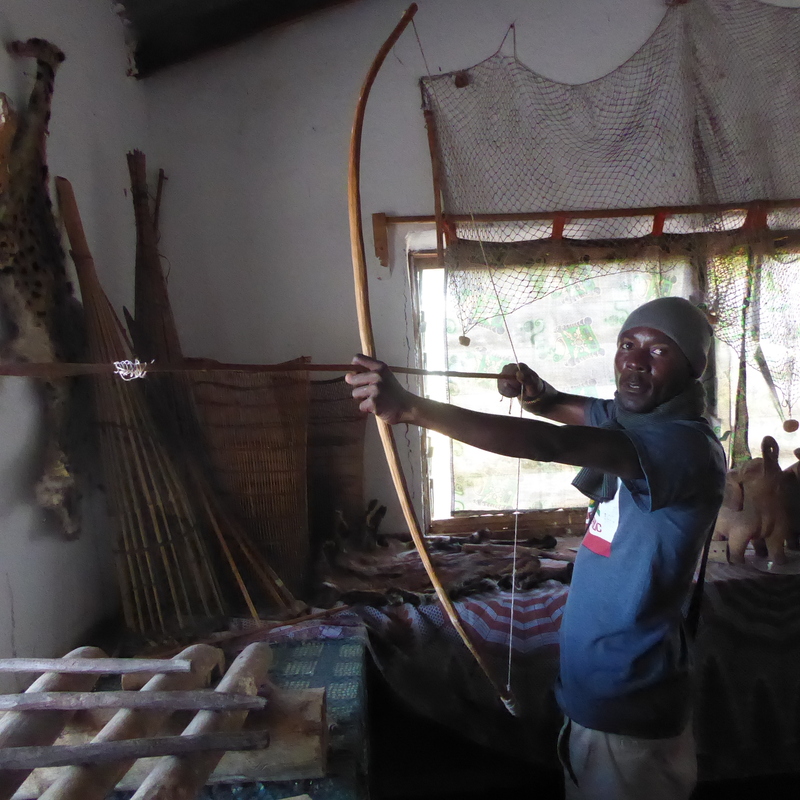 When using the bow and arrow for hunting, the arrow was first dipped in a fast acting poison. When hit with the arrow, the poison entered the blood and the animal soon staggered and fell, giving the hunter food for his family. 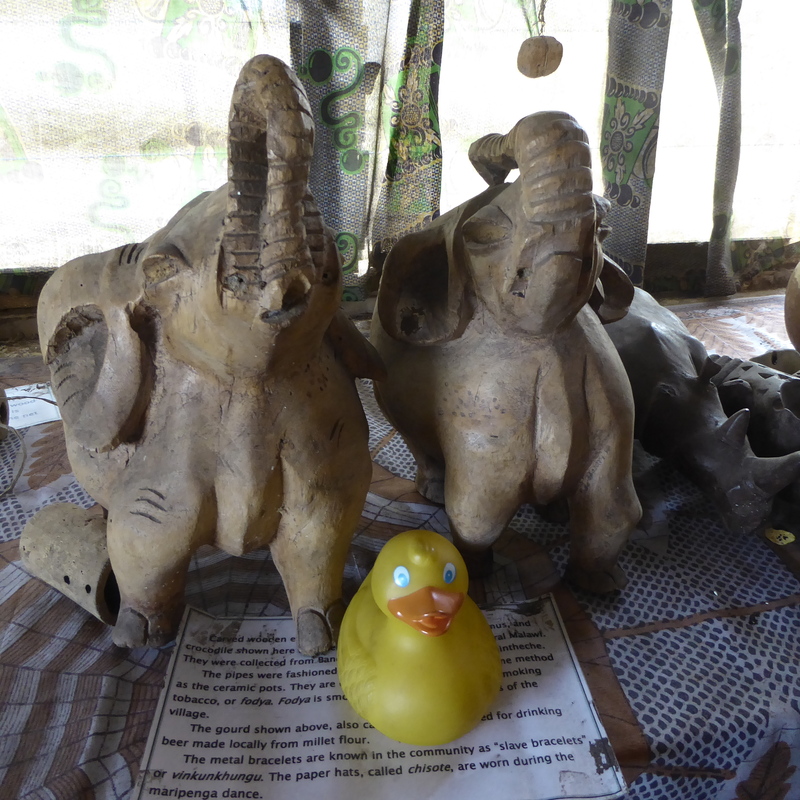 We really liked these elephants. My friend Deborah and Patrick are testing the pipes. Don’t they look great, and happy? Remember I first met Deborah in Cuba, where she tried cigar smoking. 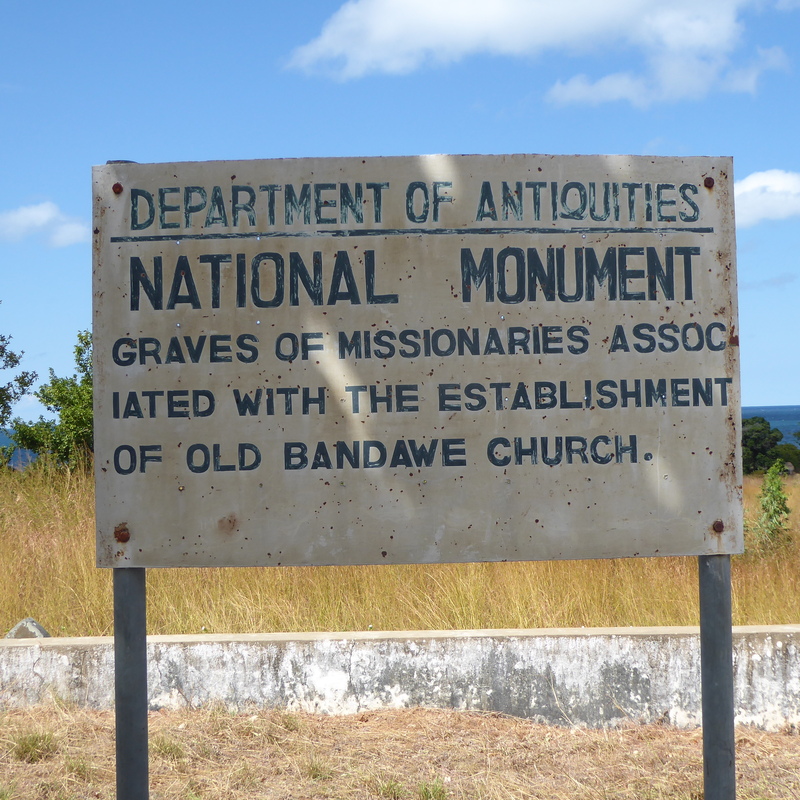 In 1880 Dr. Robert Laws relocated the Livingstonia Mission to a hill overlooking Bandawe Point, in this area. 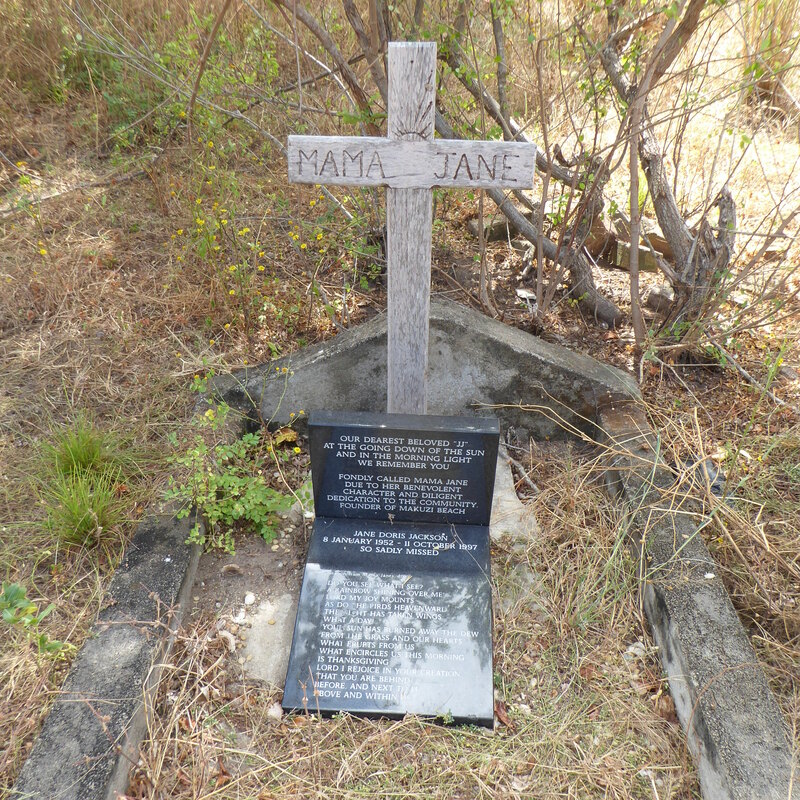 However, in 1894, the mission location was abandoned and moved to Khondowe on the Rift Valley Escarpment because so many people died of malaria. We visited the “White Man’s Graveyard” where so many are buried. 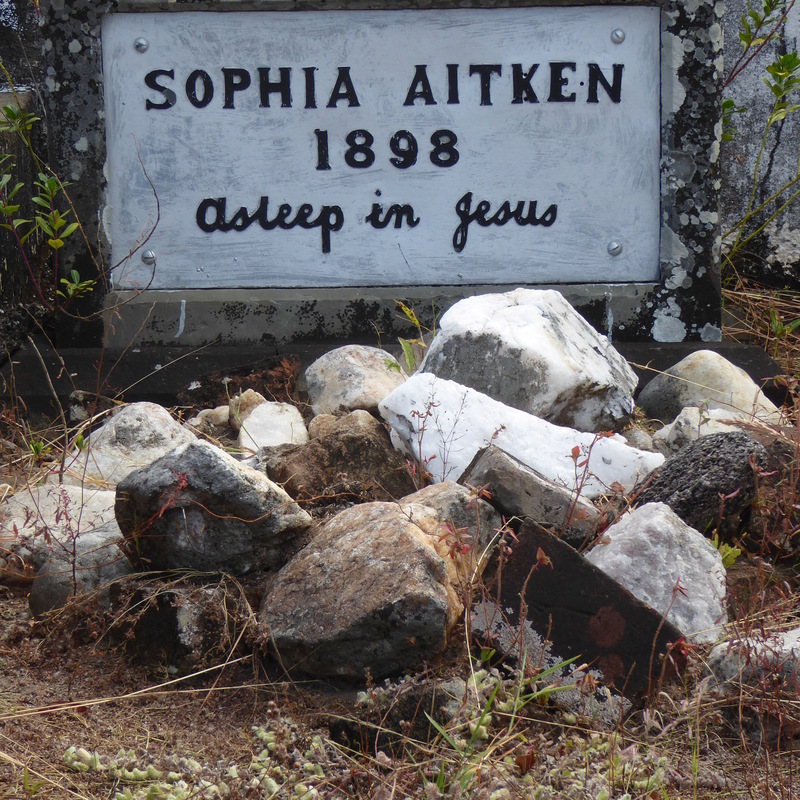 This is the grave for Sophia Aitken, from 1896. With one notable exception, all the graves are from the 1800s. Mama Jane Jackson,the owner and founder of our Makuze Beach Lodge, tragically died in a paragliding accident in Zimbabwe in 1997. The much loved lady is buried here. You can see, there are several graves. 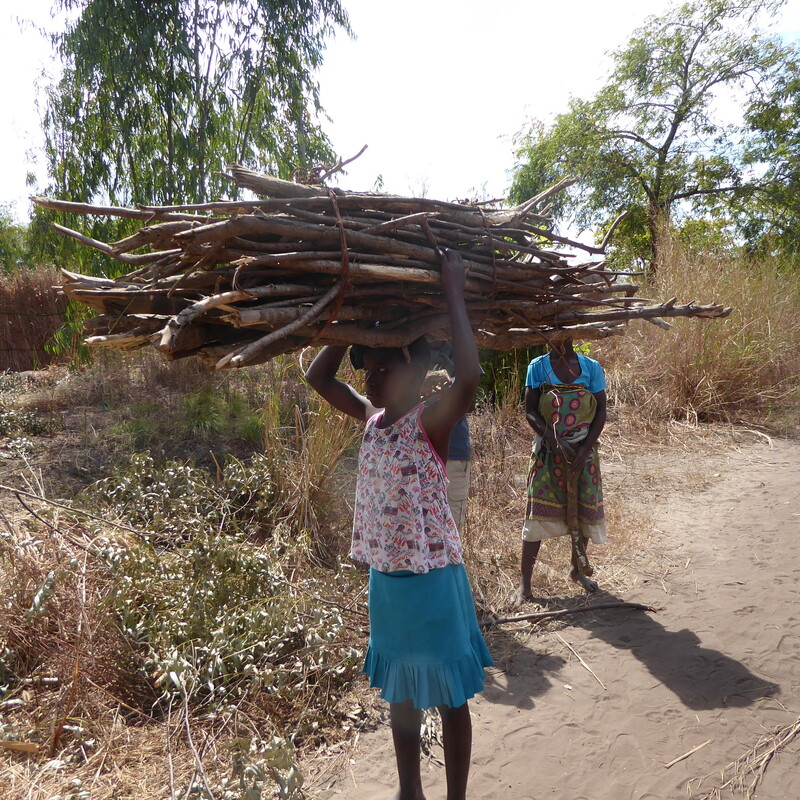 On the road,we met girls and women carrying firewood for cooking. The ladies carry the wood on their heads. When they walk, they have a wonderful posture and walk so smoothly, they seem glide down the road. They look and walk so elegantly. 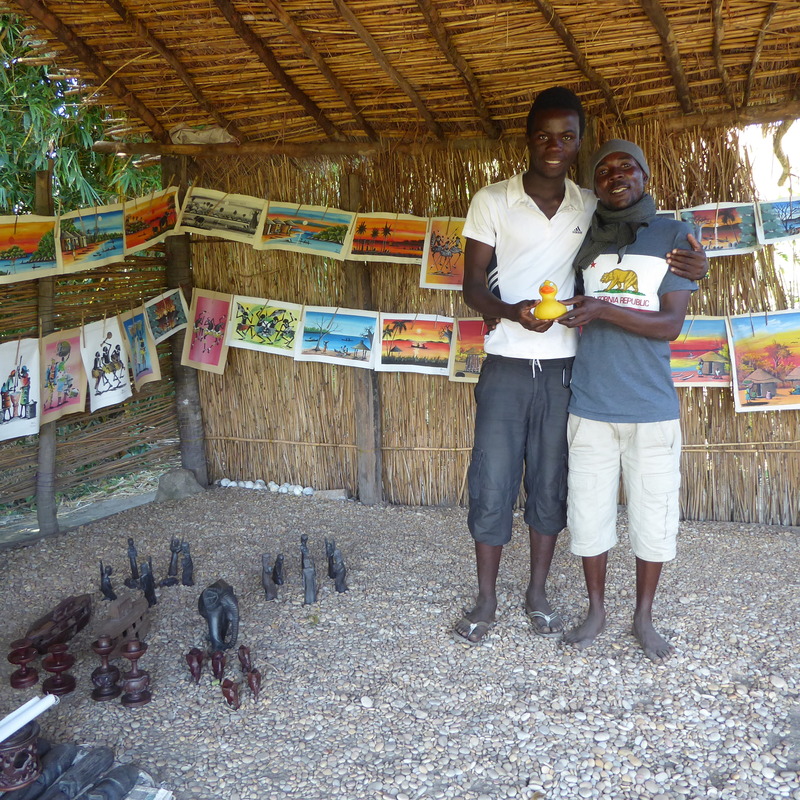 Patrick, our guide, is also an artist. 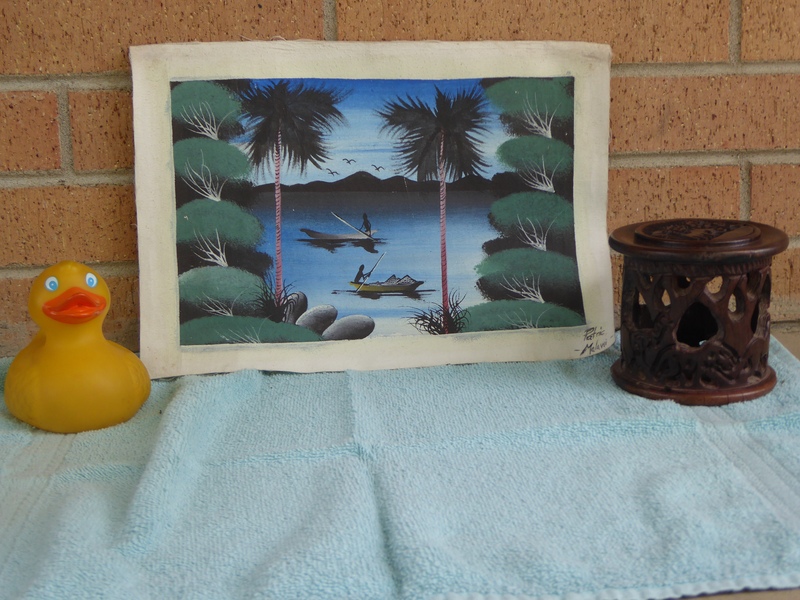 We bought a painting and a wood carving from Patrick. Patrick’s painting and wood carving. Maybe a tea candle inside carving?? Patrick is here with his cousin, our assistant guide. 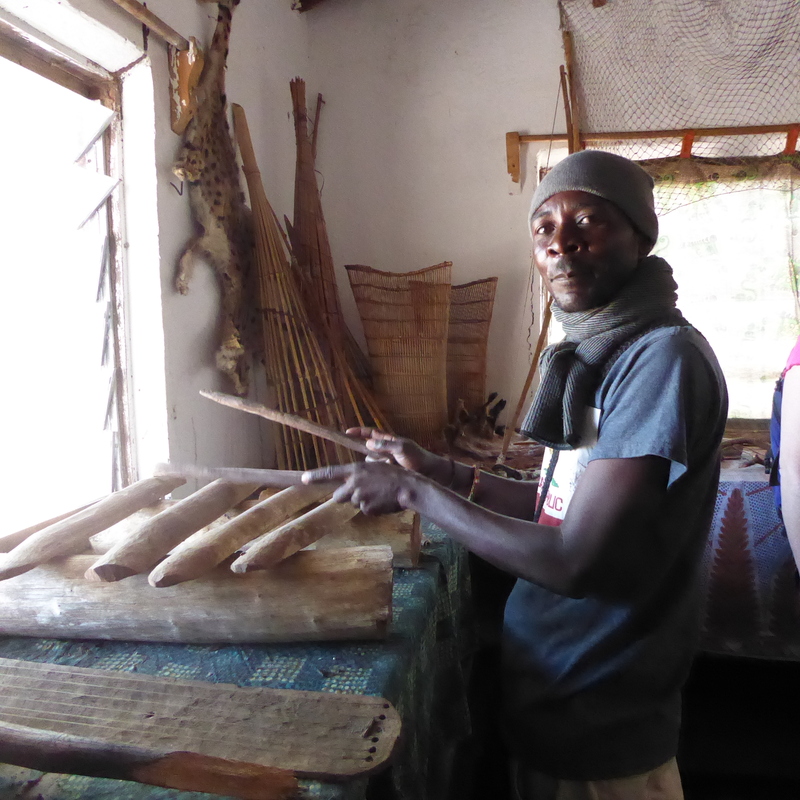 They were both very nice and very knowledgeable. They are my new friends. 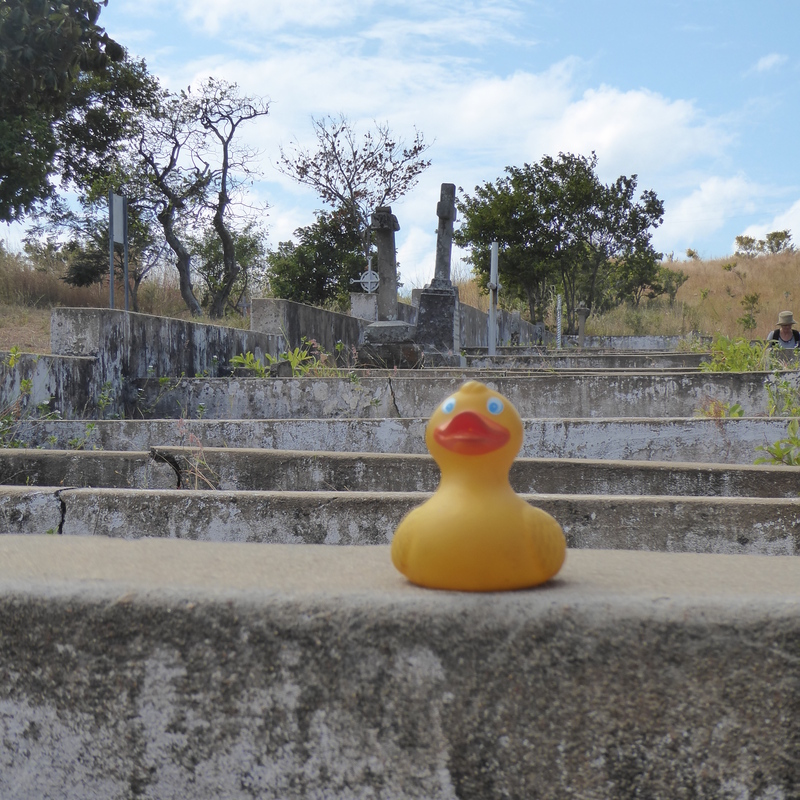 This entry was posted in Africa, Malawi, Uncategorized and tagged Africa, Chikumbuso Museum, Colorado Traveling Ducks, Makuzi Beach, Malawi, Mama Jane Jackson, Sophia Aitken. Bookmark the permalink. You’re all having such a wonderful time and I’m enjoying seeing this part of Africa with you. Patrick’s paintings are lovely. We are having a wonderful time. Patrick and so many artists are very talented, and very humble. They are so nice, friendly and easy to talk with. We enjoyed buying more than we needed, but daughter and grandson helped by taking stuff when we came back to Colorado. Thanks for reading and commenting.